The Dolly Shop by Paul Biddle is an image of two Shaman. 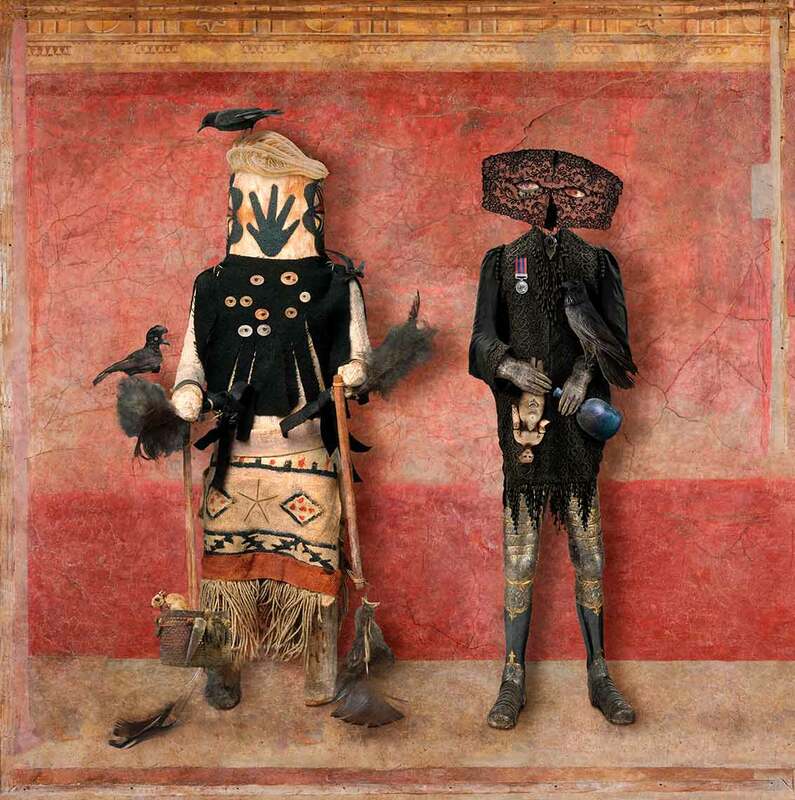 The Shaman on the right wears a mantle of black and wears Knight's armour, he has a Raven perched on his gauntlet and a dolly in his other gauntlet. The other Shaman wears a tribal costume and has three birds perched on his body. The background is a warm red colour from an Egyptian tomb. A Magic realism picture.